Sometimes, the shortest route between two points is blocked by a hill or a mountain. If the obstruction is not very wide, the railroad may choose to just go around it, and if it's not very tall, they may build over it. 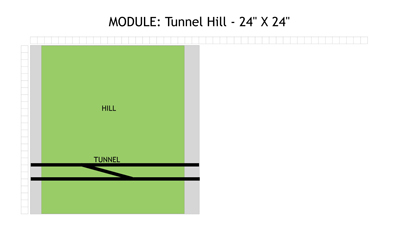 But sometimes, the expense of digging a tunnel is justified by the greater efficiency of a shorter and staighter route. In some cases, it becomes possible years later to remove the roof of the tunnel, making it into an open cut. 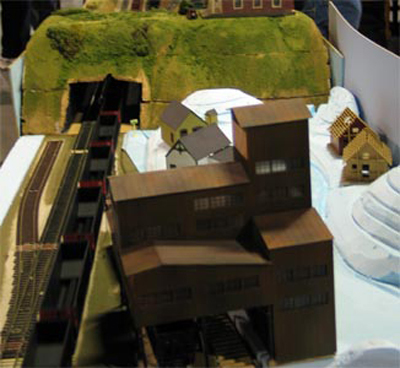 These "daylighting" projects improve the clearance above the tracks, allowing taller trains, and remove the chances of the tunnel's roof collapsing, but if the mountain is very tall, or if there is a town above it, the tunnel will have to remain as a tunnel. Tunnel Hill, with a coal tipple in the foreground.